Join us for our next Webinar featuring Professor Jane Gunn from the University of Melbourne. We welcome all primary health care researchers and teachers to attend! 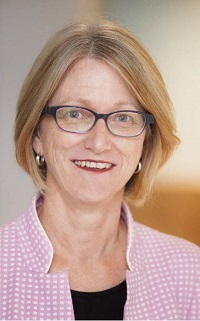 Jane Gunn is Professor and Foundation Chair of Primary Care Research and Deputy Dean of the Faculty of Medicine, Dentistry and Health Sciences at The University of Melbourne. She has served as Head of the Department of General Practice at The University of Melbourne from 2009-2017. She is a General Practitioner and has established a successful primary care mental health research group and is involved in leading primary care reform. In this talk Jane will share her story of building a research program around depression and the intersection of depression with chronic physical health problems. Jane's research journey began with the mission of understanding how depression was being managed in general practice and how we might further strengthen the role that primary care plays in maintaining emotional wellbeing. Over the past 15 years or so Jane has focussed on understanding the patient experience of care and the context in which care is delivered; as well as understanding the natural history of depression and developing a model of care that can be delivered in primary care which addresses the biopsychosocial needs of people experiencing depressive symptoms. An opportunity for real-time discussion and cross-pollination of ideas between members. You will hear from leading and emerging primary health care academics from Australia and New Zealand. Build a research community for primary health care academics from all disciplines and foster dissemination of high quality research by experts in the field. AAAPC members and non-members from all disciplines with an interest in primary health care research. We aim to run biannual interactive webinars on topics of relevance to primary health care research. Webinars will last one hour and include an interactive session where you can ask questions of the expert presenters. Certificates will be provided in recognition of attendance to webinars and sent to participants via email. Webinars are currently free of charge. Webinar platform Zoom is a web-based platform. You may join from your computer, smartphone or tablet devices.